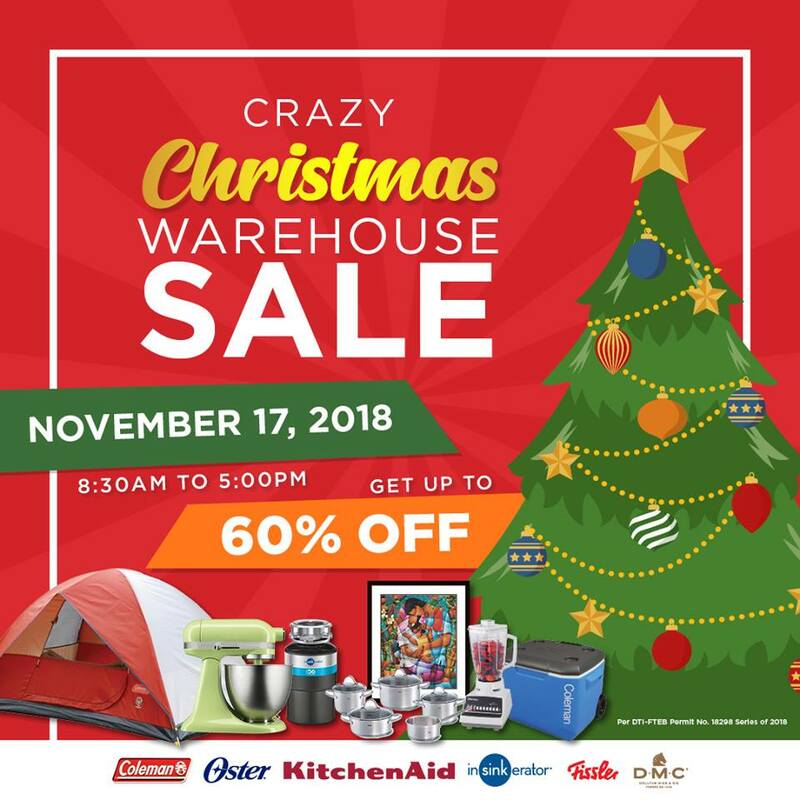 Get ready for crazy discounts, deals, and freebies! 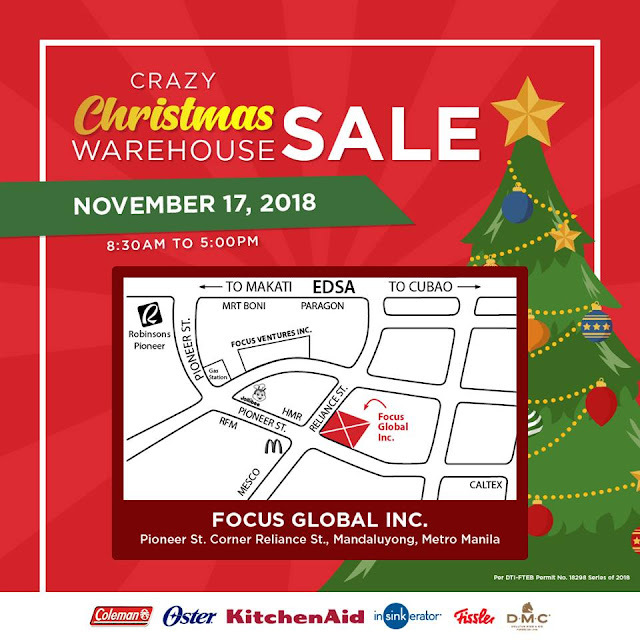 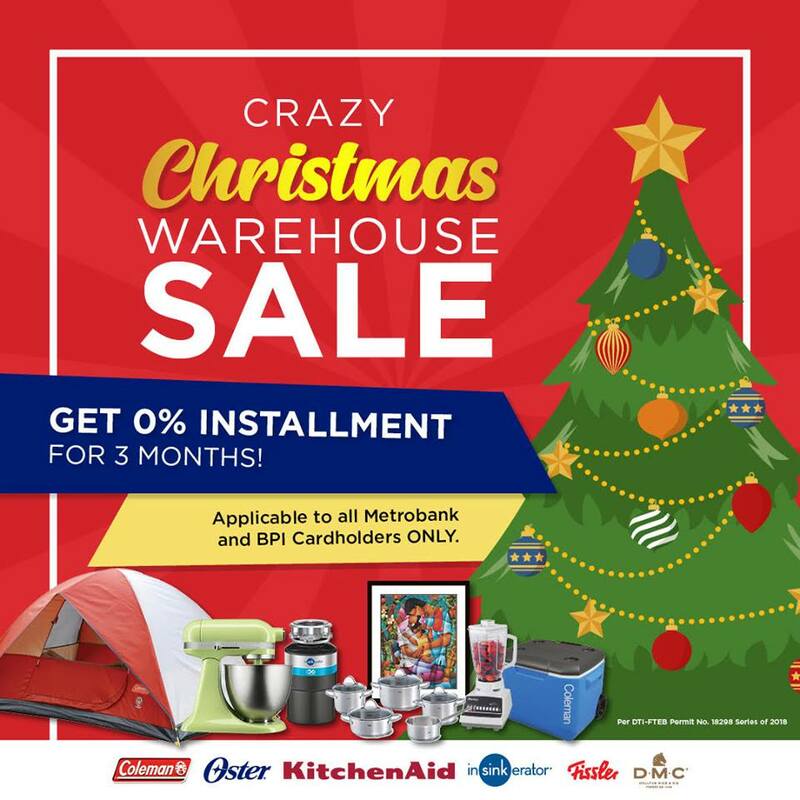 Kick start your Christmas Shopping with the Crazy Christmas SALE happening on November 17, 2018. 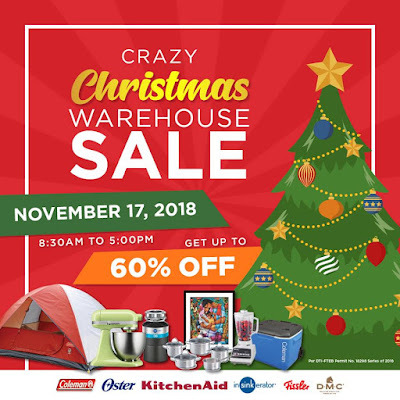 Save up to 60% on Coleman gears such as tents, air mattress, coolers, outdoor furniture & camp lighting, Oster & Kitchen Aid small appliances, DMC, and more! 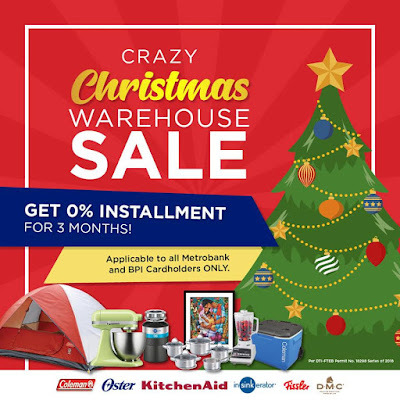 Metrobank and BPI cardholders can avail of 0% interest on 3-month installment.